Are you the type of person who has a difficult time sharing recognition, credit, power, profit, and your time? Do you have a hard time being genuinely happy for the success of other people? Or, instead of operating with a scarcity mentality, do you embrace an abundance mindset, which can radically change the way you learn, how you handle stress, how you create success, your resiliency, and even how your immune system functions? In this episode of BioTrust Radio, we’ll be talking about an abundance mindset, why it’s critical to leading an optimal life, and 10 ways to help cultivate an abundance mindset. Enjoy! 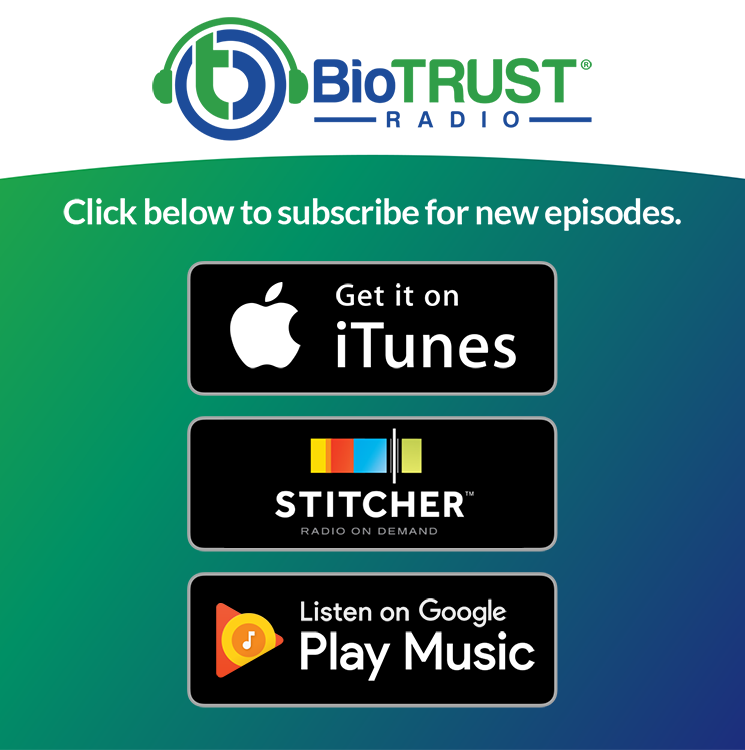 Thanks to an assist from Nicolette Stinson, writer for The Chopra Center, in this episode of BioTrust Radio, Shawn and Tim discuss 10 Steps to Develop an Abundance Mindset. We’ll also introduce our 30-Day Gratitude Challenge, which you can learn more about below as well as at our Private VIP Community. The next time you that scarcity mindset creeping in, you can use these tools to help create an abundance mindset! What is an abundance mindset? What are the benefits of an abundance mindset? What is a scarcity mindset? What’s the difference between an abundance mindset and scarcity mindset? How body language and breathing can change your mindset, influence your mood and energy levels, and help cultivate an abundance mindset. How mindfulness (of your thoughts, actions, etc.) is the first step to cultivating an abundance mindset. How the practice of gratitude may be the most powerful tool for creating an abundance mindset. How you can use meditation, cold therapy, and even massage as methods to help cultivate an abundance mindset. Why sharing your purpose and passion is essential to abundance mindset while being a hoarder (of gifts, talents, knowledge, etc.) is a clear-cut sign of a scarcity mindset. What is a growth mindset and why is it necessary for building an abundance mindset? How your words — to yourself and others — shape your reality. Are you telling stories of scarcity or stories of abundance? Each day, reach out to one person (e.g., email, phone call, text message, hand-written letter, etc.) and tell them that you are grateful for them and why you think they’re amazing (i.e., recognize an area of their genius). Ask the person if you can help them in any way. Ask if you can be of service to them, even by listening. Are you ready to take the 30-Day Gratitude Challenge? We want to be your accountability partner. Post how you’re taking on challenge here on the blog or over at our Private VIP Community. And remember… you’re just one decision away from better health and a better body! Ask the Coaches: How Do I Figure Out My Ideal Body Weight?